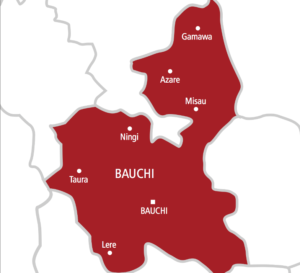 ‎The newly elected legislators who also received ‎their certificates of Return includes the incumbent Speaker, ‎Bauchi state House of Assembly, Honorable Kawuwa Shehu Damina and 30 ‎other members. 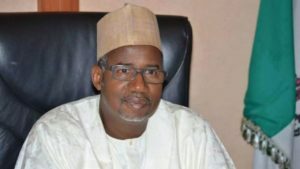 ‎The INEC Federal Commissioner in charge of ‎Bauchi, Gombe and Yobe states, Baba Shattima Arfo, presented the certificates to the ‎governor and his deputy at the Commission’s Headquarters in Bauchi. While the Residents Electoral Commissioner of the Independent National Electoral Commission (INEC), Ibrahim Abdullahi presented the 31 legislators-elect with their Certificates of Return. ‎The National Commissioner, Arfo advised the newly elected members to make themselves available and accessible to the electorates and ensure that they provide them with the dividends of democracy. He charged the Governor-elect to see his election as an opportunity to serve the people of the state and not members of his party alone. Shettima Arfo who was assisted by the Bauchi State Resident Electoral Commission, Ibrahim Abdullahi noted that the campaigns are over now and the winner should be magnanimous in victory and take everybody along knowing that the essence of democracy is serving the people. The National Commissioner who further maintained that it is only when elected officials abide by their campaign promises that democracy can be beneficial to the people, pointed out that the government is to work for the people. The Bauchi State Residents Electoral Commissioner (REC), Alhaji Ibrahim Abdullahi said the election was conducted in a peaceful manner with all the positions keenly contested. ”Let me remind you, as the electorates that turn out in mass to ensure that you were elected, you should know also that they have huge expectations and demands from you. Do as much as you can to reciprocate their kind gesture”. Abdullahi admonished. In his vote of thanks,the Bauchi State Governor-elect, Senator Bala Muhammad Abdulkadir appreciated INEC and Security agencies for conducting free and fair election in the state.